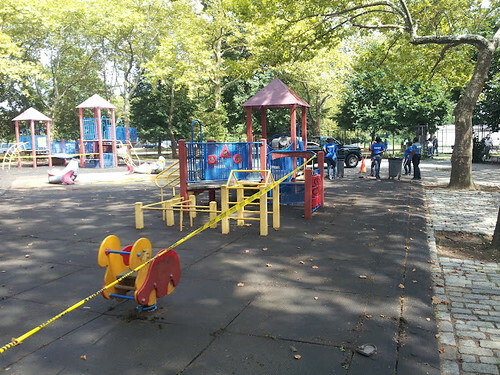 The embarrassed parks department learned the definition: “It is the squeaky wheel that gets the grease.” We were squeaky wheel and we got the parks department to clean up our park. They didn’t do anything about the sprinklers yet. That might be a more involved project. 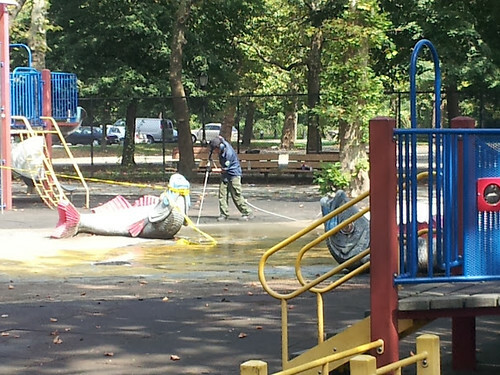 The Parks Department did release a statement to news 12 that park plumbers investigated and cleared a blockage in the drainage system last month. Officials say they will follow up immediately to investigate and attempt to clear the drainage line again. I have more parks related stories coming. Come November 6th we are going to have two choices for our Representative to the house.